Sandown limousine, can arrange personal tours of the region on any size of party from one to 33.Visiting the many wonderful and historic sites in the region including the Roman Wall and the Historic Coastal Castle Trail. Or The Cathederals Abbeys and Minsters in the region which present a memorable reminder of time spent with us in the North east. 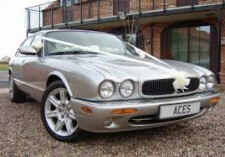 All of our Fleet of Jaguar and Mercedes Cars cars are available to provide transport on your special day please contact us and we will be happy to discuss your requirements and arrange veiwing of the cars.